Social networking is like a double edged sword. It's a great way to interact and make new friends online. Or the other hand, you have no idea as to who the new found friend is, actually, what is the actual identity of that person. He can be a saint or a devil for all you know. Keeping all this in mind Allen W. Achilles, started Kidzworld in February 2001, for kids and teens. He wanted Kidz world to provide safety to the kids, which no other websites provide. Safety and security are almost like a passion for him and he has kept that as the core value while launching the website. The website uses sophisticated technology along with a team of well experienced moderation team, whose main aim is to keep the website clean from inappropriate language, bullying and even protect younger users from unwelcome solicitations. If you want to use chat rooms here, first you have to create imaginary username. It hardly takes one minute. After login to kidz world you can use chat rooms and other stuffs. The live staff moderates the chat room communication; they also moderate photos, videos and the articles the kids post. The advanced moderation and the behavioral analysis technology help in providing seamless moderation of the user interaction. But as no filtration system 100% perfect, the kids may send e-cards to others if they know the email address. Kidzworld.com was designed not only to be a social network site for the kids, but also to act as a platform, where the kids could express themselves without any inhibition. The website actually encourages the kids for writing original content, blogs, stories and poetry. The kids can also interact with other kids their age in the chat rooms and forums, which is fully moderated, any time of the day. The kids use their user profile to show the other user about them and also about what are the areas of their interests. Kids cannot share or disclose personal information, by which they can be identified. 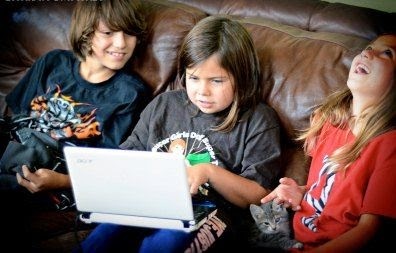 Though kidzworld.com to great length for protecting the users, the teens sometimes do get their moments, they insult, get mad, express sadness, act cranky, funny and so on. So you understand that it cannot give you the 100% guarantee of certain comments and behavior, but these small percentages can easily be ignored as overall, you may the faith that the website works very hard to provide safety to your child. Hence their claim may seem justified that it is the first safe, secure kids social network. So let the kids enjoy!